Blurred Remembrance will contain a full battle experience. 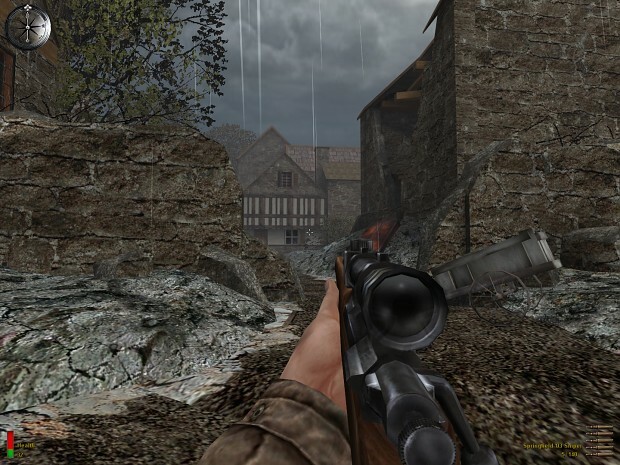 of Medal of Honor: Allied Assault and it's Expansions. 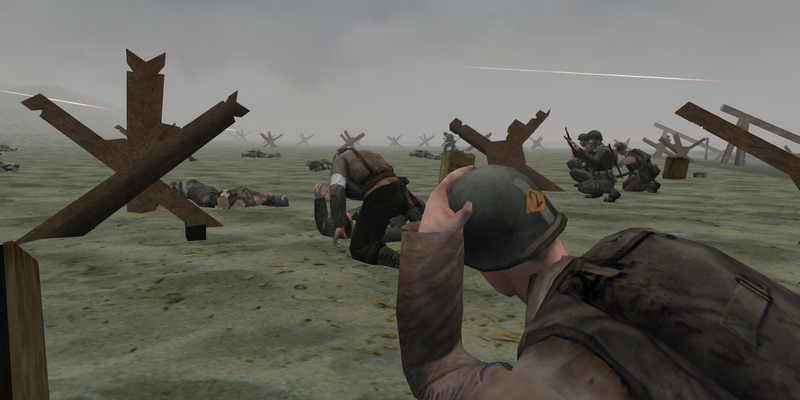 In 2010 I decided to save Medal of Honor: Allied Assault on my hard-drive to play it sometime later again. The atmosphere of this old game was simply enthralling. However, just Medal of Honor wasn't enough. I added mods by various authors to the game. Some were incompatible together, so I decided to modify this mods. 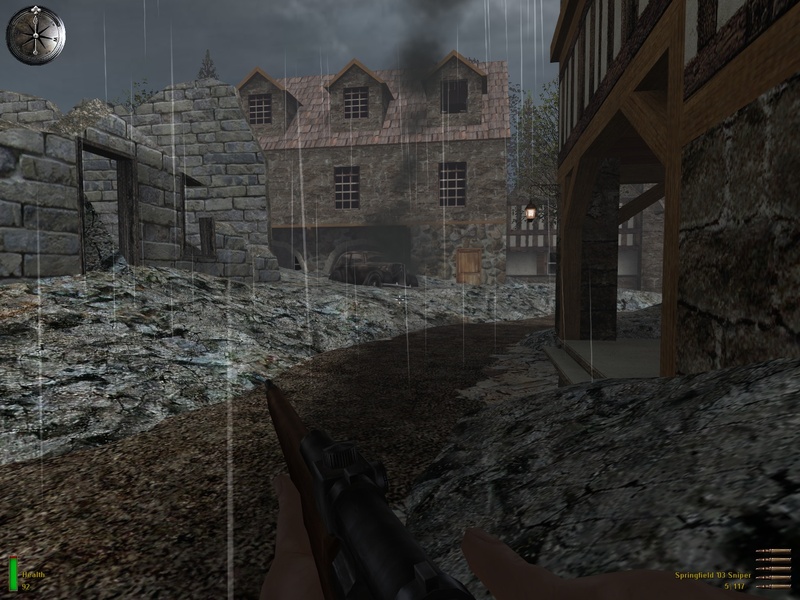 Therefor I created a new HD texture pack and added custom singleplayer maps by other modder's. 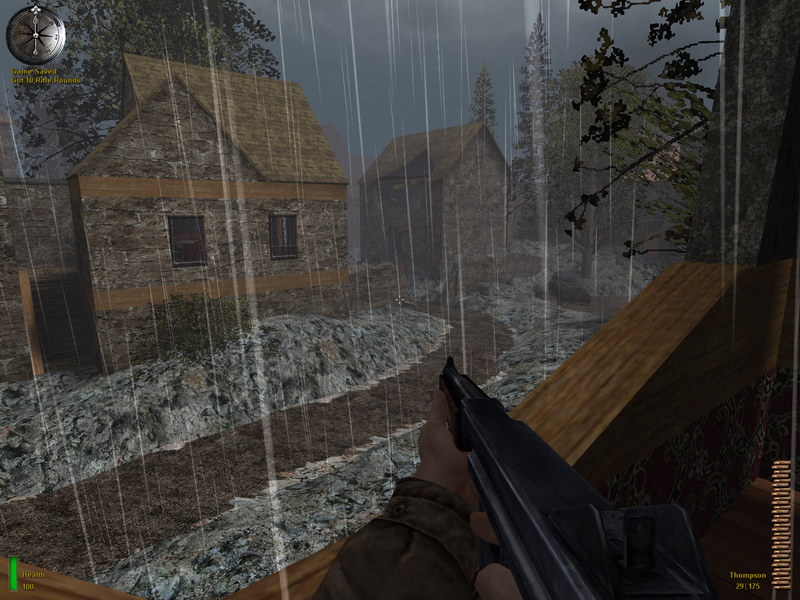 Also I liked to aim on sight, so I added two ironsight modifications, fixed some bugs here and there. In 2010 I finished this standalone conversion with cmd runtimes to play that conversion I would like to play. Now I like to release my package here at Moddb for the public. My conversion got some more fixes, an installer and a graphic driver guide to fit the resolution and 3D settings. All in cooperation with ZYQUIST & DERRULB. 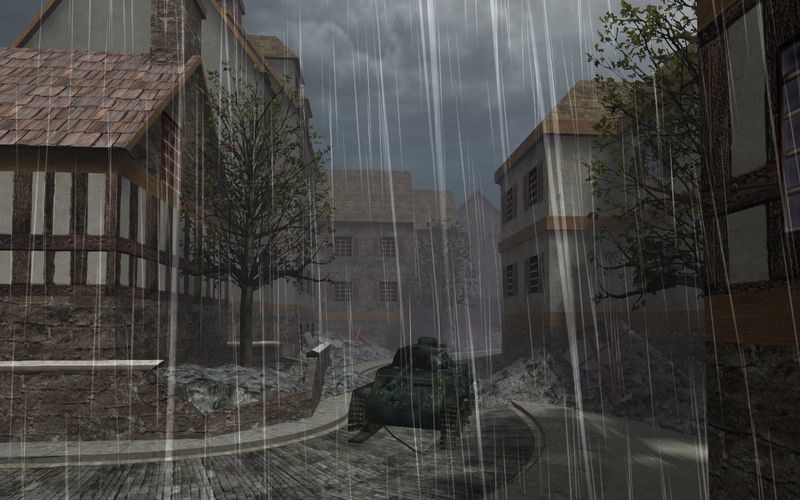 Medal of Honor: Blurred Remembrance includes Cooperative gameplay with V1.60. We included four modifications for coop and runtimes to start each, start server, choose settings and so on. The Cooperative Mod is made by Marvin_hun & S.D.A..
For Multiplayer we added runtimes for dedicated server host's for the possibility of hosting servers running features of Blurred Remembrance. 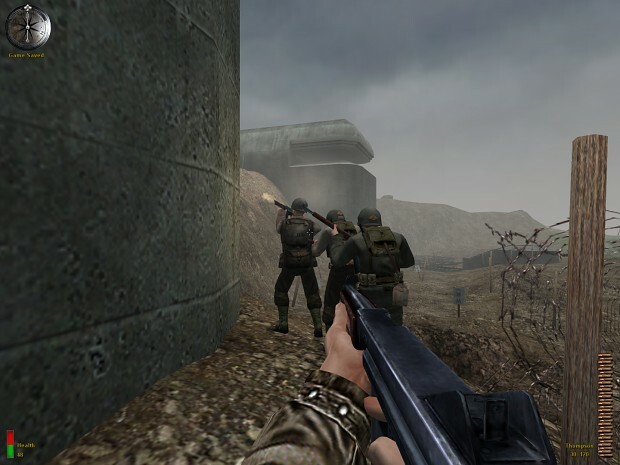 However, Blurred Remembrance was always intended to be a Singleplayer experience, therefor no stock Multiplayer is available. 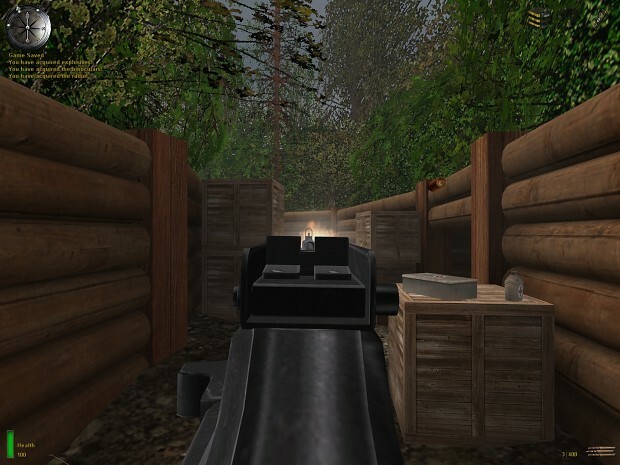 Medal of Honor: Revival for the better experience of stock Multiplayer and custom downloads. MoHAIM & Reactivated2 are mods to aim on sight. These are available for conversions of Medal of Honor Allied Assault. To aim on sight press the walk button. The view is changing and the crosshair will disappear. Left Shift or an other button. 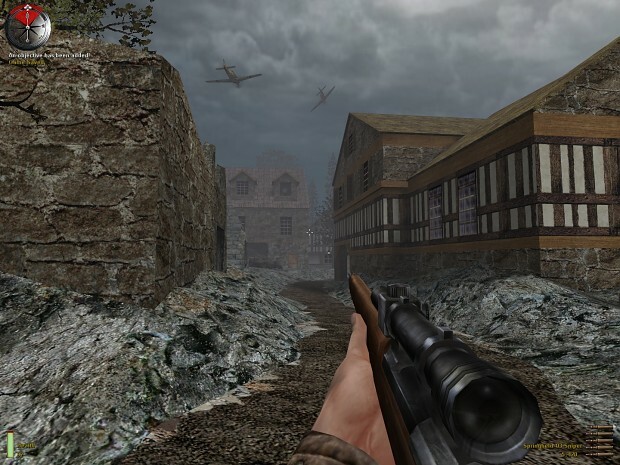 To give Medal of Honor: Blurred Remembrance a fine look we took together some texture packs and made 1080p available within the configuration setup. Everything for more enjoyment. Quake Engine; id Software, Inc. Cooperative Mod: Marvin_hun & S.D.A. 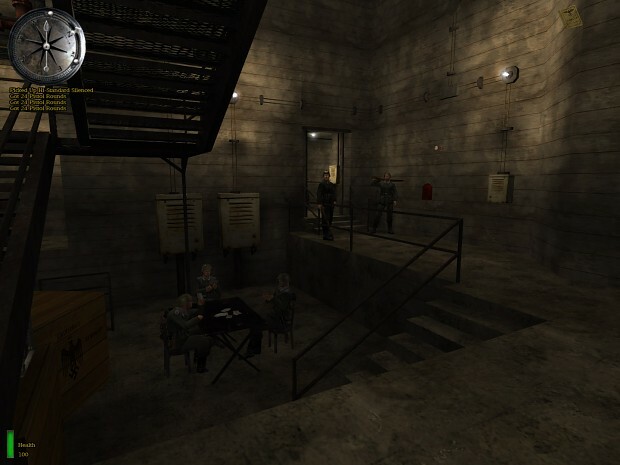 Simply collect all five parts of Medal of Honor: Blurred Remembrance and extract them to on one folder on your harddrive. Use the installer and read all instructions carefully. reason why I made Blurred Remembrance a standalone conversion. original Medal of Honor: Allied Assault you need the original CD's. Some MS Windows or hardware setups and settings could cause crashes when playing Blurred Remembrance. Please remember that we did not edited the engine and simply modded a solution everyone could have fun playing this game with merged mods. The default MOHAA would possibly crash too on you machine. So please! - Don't review this mod with bad points, while we did hard work to get everything together. It`s your machine and your skill to make games run on it. Antivirus Software. They are clean and you can exclude them from checking. about the mod and we are sure to reply. We also wan't some more reviews. 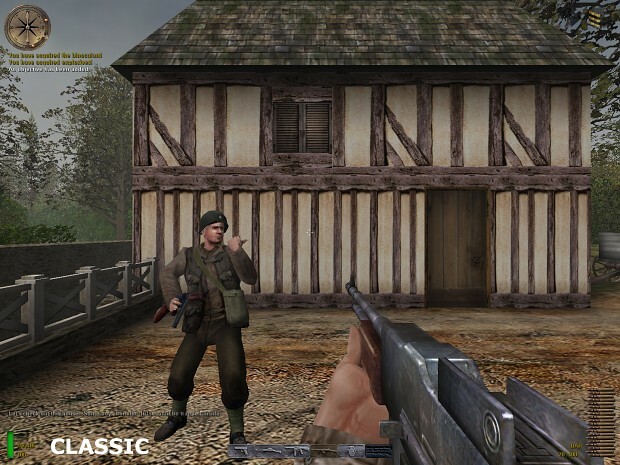 of Medal of Honor: Allied Assault. After some tests with Coop and Das Ende we are announcing the first patch for MOHBR V1.60. The Patch is overwriting the setup config, you should do the setup again. To play Coop lagfree use developer 0 in console. Also it appears you can`t join your own dedicated server. We have no clue why yet (maybe you need to start a map). Download this and extract the zip. Use the installer to apply this update. Simply collect all 6 downloads. Afterwards collect all 5 .bin parts and the installer .exe unzipped together in one folder in order to install Blurred Remembrance. Read all instructions carefully. about the mod and we are sure to reply. Check out this NVIDIA-Guide for perfect image quality. Special thanks to the mentioned authors (see CREDITS) & to the possibilities of ModDB (PLEASE FIX YA ARTICLE CONTENT EDITOR, HORRIBLE to work with sourcecode and stuff). Now make your full battle experience ;). Medal of Honor: Blurred Remembrance is a standalone conversion, to keep the experience of classic Medal of Honor: Allied Assault in the present. What we are waiting for: #4 Status Update for MOHBR V1.60 - 1.61. Multiplayer? Coop? Check out the #3 News-Update for MOHBR. It was a long time quiet around the Medal of Honor Blurred Remembrance. Now we are back with the second status update for MOHBR V1.60. 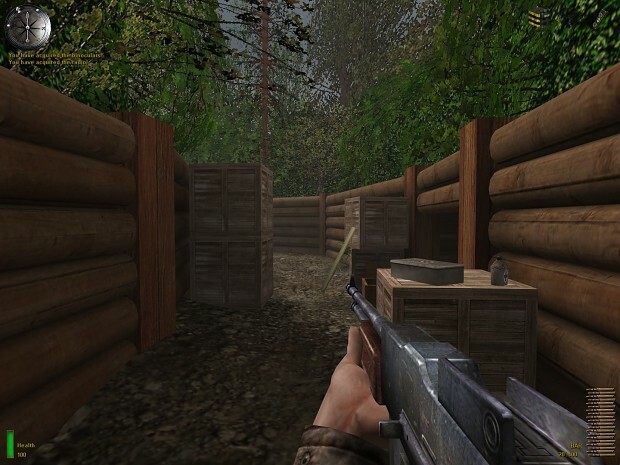 PATCH V1.61 for Medal of Honor: Blurred Remembrance. 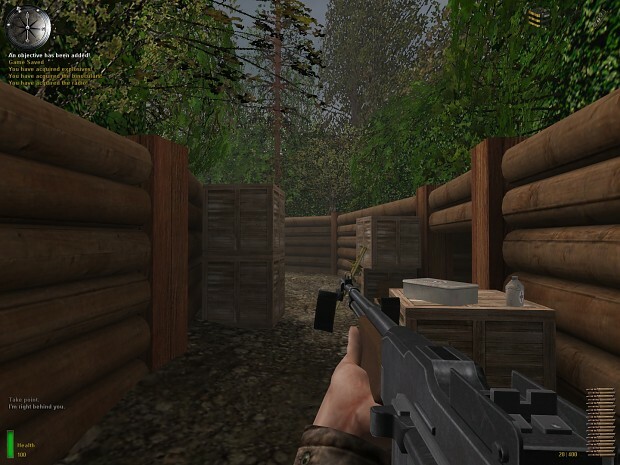 INSTALLER of Medal of Honor: Blurred Remembrance V1.60 INSTALLER. 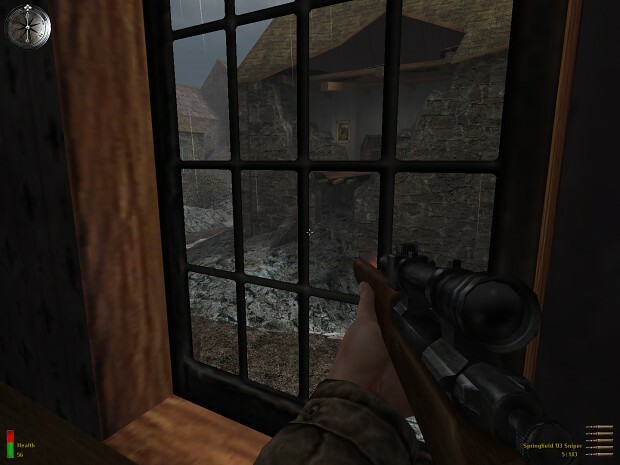 Part 1/5 of Medal of Honor: Blurred Remembrance V1.60 INSTALLER. Part 2/5 of Medal of Honor: Blurred Remembrance V1.60 INSTALLER. Part 3/5 of Medal of Honor: Blurred Remembrance V1.60 INSTALLER. 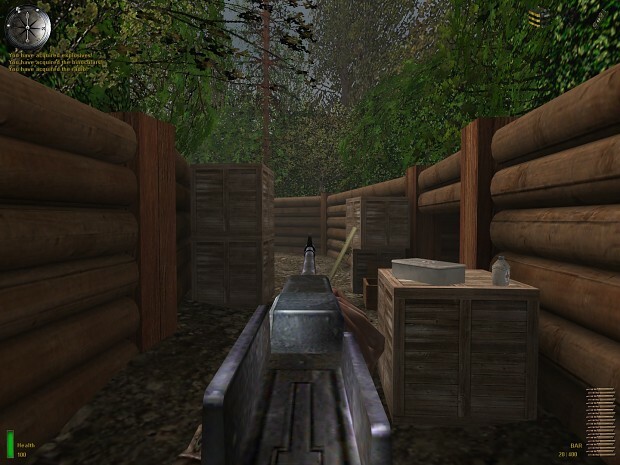 Part 4/5 of Medal of Honor: Blurred Remembrance V1.60 INSTALLER. How to install this mod ? How to install this mod on the game version of GOG? I was wondering, how do you increase the level of detail on models far away from you? What I mean is, how do I make soldiers and tanks at a distance from me look less blocky? Hi guys, love the mods, BR is awesome. I wanted to ask if there's a way to play the Breaktrough and Spearhead Campaigns with the iron sights mod ? Can anyone help me with showing very step by step or at least where is the detail instruction of how to install this mod after downloading all five parts and setup and then extracting them into one folder? I couldn't find a specific instruction after putting all five including setup into one folder. in downloads you will find the installer too. You need all 5 parts (check) plus the installer in one folder. Afterwards start the installer as administrator and follow the steps of installation. Hi, I am sorry for you. I think your gfx is not supporting mohaa. You could try to find your own solution. My alternative gl file helped on my laptop. However that's not a real solution. I am sorry, i can't edit the engine.